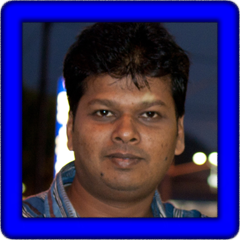 (8 August 2012) Hello Everyone, My name is Manoj and i'm from Mysore, KA, India. Musical Background: My interest in music started when I was 15 years old when my dad bought me a small Casio mini keyboard. I started going to a music class for six months where I learned some Hindi songs, although only the right hand lead part. After a few years, I bought my first five-octave basic digital keyboard and started experimenting on my own. I got in touch with a person, who became my friend, and taught me the basics of chords for three months so I started playing with accompaniment and styles. But I always wanted to learn arpeggios and so I started searching on the net where I saw lots of videos of people playing the piano. I learned a lot from them. Then i bought a Yamaha PSR-630, which sounded very nice. After changing many keyboards, I finally bought a Yamaha PSR-S710 last year. At first, I didn't like its sound, but after tweaking the sounds and with EQ settings this thing sounds marvellous and now I am in love with my keyboard. I like to fusion western music styles to Hindi songs. I play by ear and mostly for my enjoyment and some friends so please excuse me for mistakes. I have posted all my video covers on youtube, I hope you enjoy them. I am very happy to be the first Indian and probably the youngest to be part of this site with so many talented people. You will find additional songs on Manoj's YouTube page.